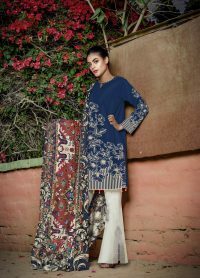 Exclusive has got you covered with this opulent turquoise light blue “Party wear”. 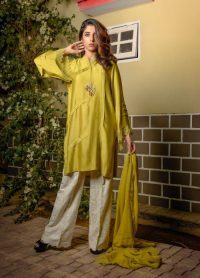 The unpretentious frill detailing hem-featuring shirt has been especially stitched to enhance this classic three-piece outfit.The shirt is made on breathable chiffon georgette for a comfortable, breezy fit. It is stitched in highest quality unique pattern and gilded in hand embroidery. 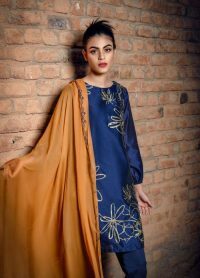 Pair it up with the premium quality light turquoise blue Indian raw silk trousers and chiffon georgette dupatta with Indian raw silk trims to reflect a hypnotic kindness. Add some statement earrings to complete your look. The model wears eye-catching sleeveless shirt, but you can also order it with full sleeves to cater those chilly winter nights. 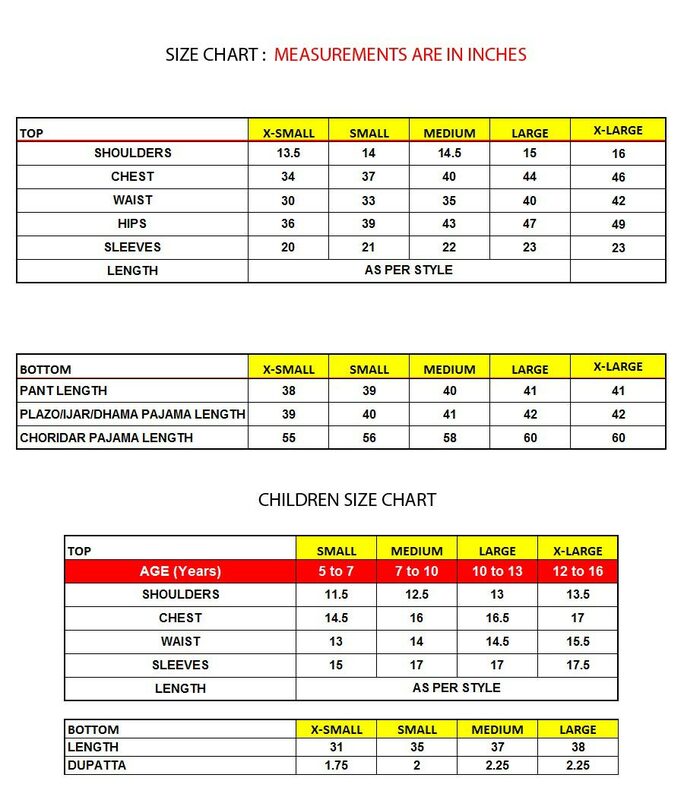 Available as ready-to-wear in size XS, S, M, L and XL (See our Size Guide for more information). So flood the room with elegance while carrying the glorious glow of this minimalist number- ORDER NOW!